Kolkata is the capital of Indian state West Bengal which is located in the Eastern banks of the Hooghly River. This city is an extremely functional part of India from the old times and now is the 3rd populated metropolitan city of India. The city is popular as the centre of industrial revolution of India as well as various Indian cultural, poetic, artistic and literary movements. As the city stores a lot of history, it boasts of various places that attract tourist attention. So if you intend to visit Kolkata sometime soon then do a search on kolkata hotel booking as you will need more than one day to visit and watch various places in and around it. 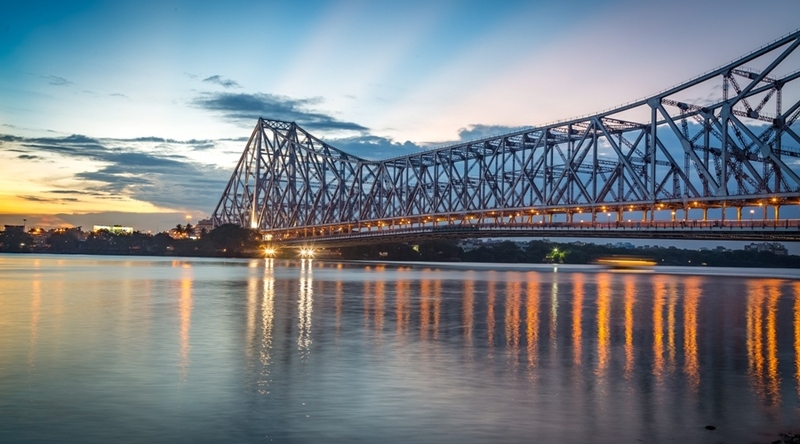 Howrah Bridge: Howrah Bridge is the sixth longest cantilever bridge in the world and one of the most popular places of tourists’ interest in Kolkata. There was a bridge named Pontoon on the Hooghly River in the past and later it was replaced by the Howrah Bridge. This is the reason why Howrah Bridge was originally named new Howrah Bridge. The bridge is even called Rabindra Setu named after Rabindranath Tagore, a very famous literary figure of India. Jorasanko Thakurbari: The Jorasanko Thakurbari is the famous Tagore family’s ancestral residence. This famous mansion is built by Rabindranath Tagore’s grandfather Prince Dwarkanath Tagore during the 18th century. This mansion is now used as a university named Rabindra Bharathi University and a museum which contains items that reflect the history and culture of Tagore. Indian Museum: The Indian museum is established in 1814, which is the largest and oldest museum in India. The museum has a collection of various rare antiquities, artefacts, paintings and even mummies. The museum has 35 galleries in its 6 sections and was originally built by Dr Nathaniel Wallich, who was a Dutch scientist working under the British. Victoria Memorial: Victoria Memorial is one of the most famous places in Kolkata which is located on the plain bank of Hooghly River. The Memorial was completed in the year 1921 and dedicated to the memory of Queen Victoria and now it is used as a museum with 25 galleries. The structure of the Victoria Memorial has a unique architecture that combines the Mughal and British styles and the construction was commissioned by Lord Curzon after the death of Queen Victoria. Birla Temple: The Birla Temple in Kolkata is of the several Birla temples across the various cities of India and after the construction of the temple started in 1970, it took almost 26 years to finish the construction. The Birla Temple is dedicated to Hindu God lord Krishna and his consort Radha for worship by devotees. The construction was commissioned by the famous Industrial Birla Family of India. One of the special features of these temples is that they are white in colour as it is built by white marble and spread across about 130 acres of land. There are also other several very famous places in and around Kolkata to visit, so when you do come to visit, make sure you have a lot of time at hand for sightseeing.